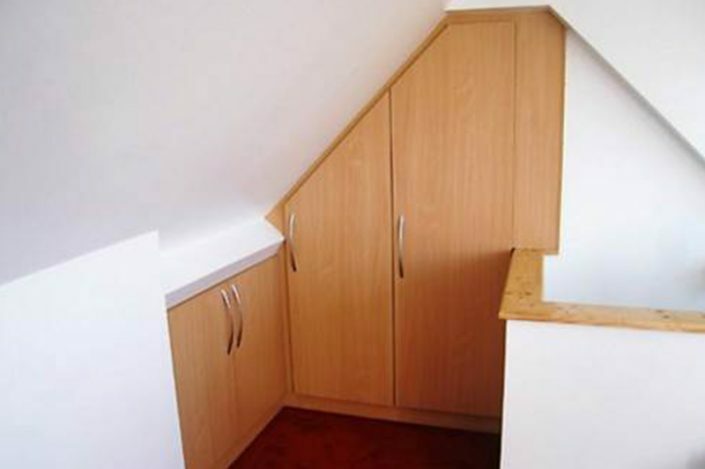 All our sloping ceiling bedroom furniture is individually made to measure, floor to ceiling and wall to wall. 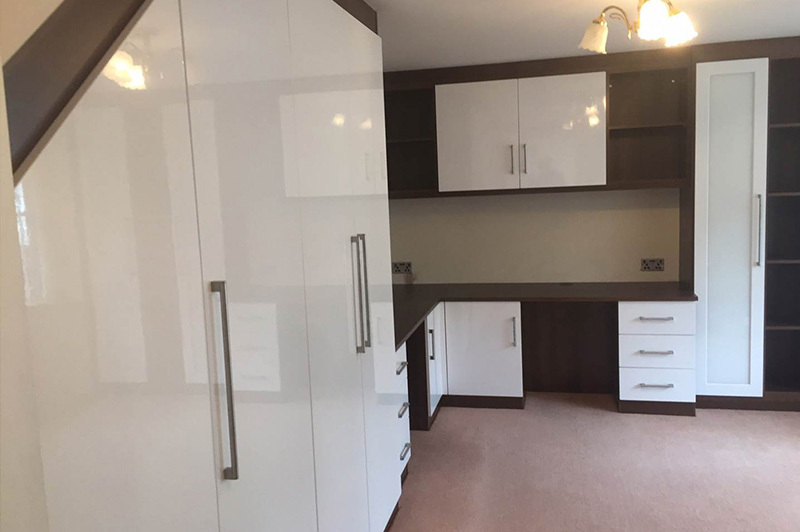 We have a wide range of style, colours and door handles to choose from. 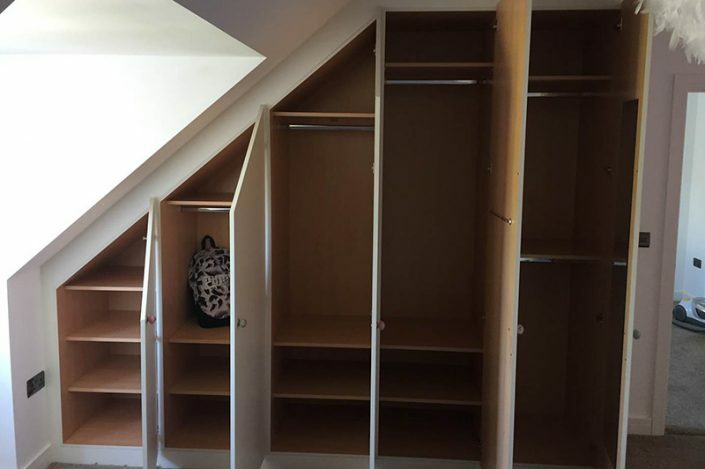 All our cabinets have beech coloured interiors and we offer a wide range of storage solutions including hanging rails, shelving, drawers, shoe rails, mirrors etc, all tailored to your requirements. 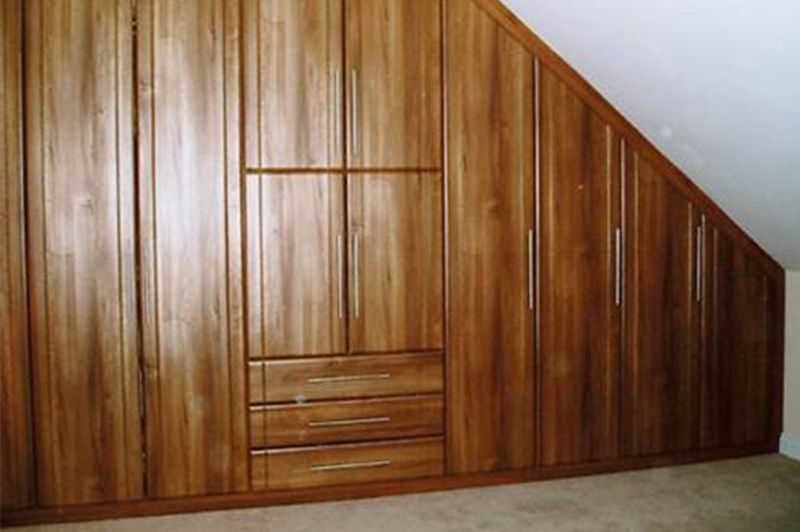 We can adapt any room shape allowing you to maximise your storage within an attractively designed wardrobe.